Scorpions Head Coach Sang John Ndong has finally confirmed his list of invited players for the Gambia National Team’s technical training camp in Morocco later this month. Sang together with his assistant Mattarr Mboge accompanied with GFF 2nd Vice President Ebou Faye are currently winding up their talent search in Europe scouting players of Gambian decent. The Scorpions will regroup in Morocco for a training camp where they are expected to play friendly matches with the Central African Republic ( CAR ) and Morocco national team as part of their technical engagement during their one week stay in North Africa. 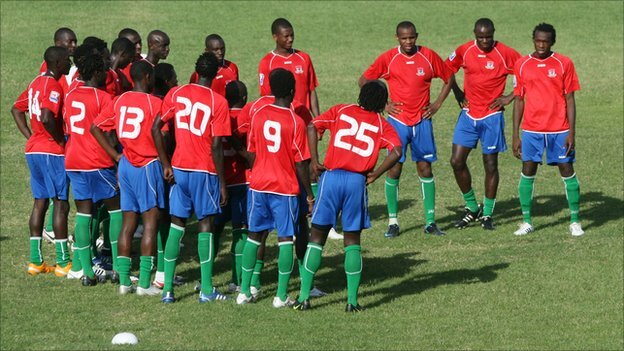 The list of players from the Gambia will leave the shores of the smiling coast on Sunday night 19th March. A total of 24 players are been confirmed to be aboard.